You are currently browsing the tag archive for the ‘organza’ tag. 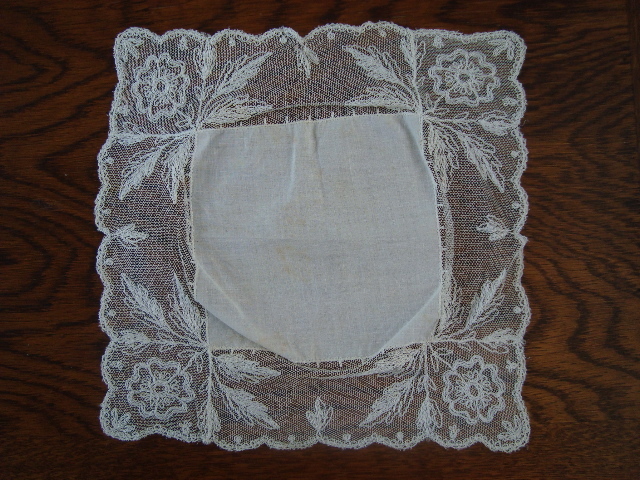 Handkerchiefs were at once homely domestic objects and fashion accessories. They were intended for a life of hard work or decoration only – many were both. 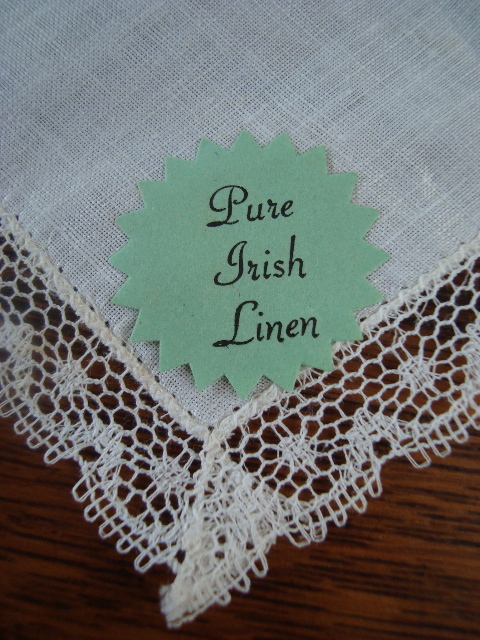 Thanks to the introduction of tissues from the mid-20th century, hankies are no longer part of every woman, man and child’s wardrobe, which is why I talk about them in the past tense, though I’m sure they are still regularly used by some. 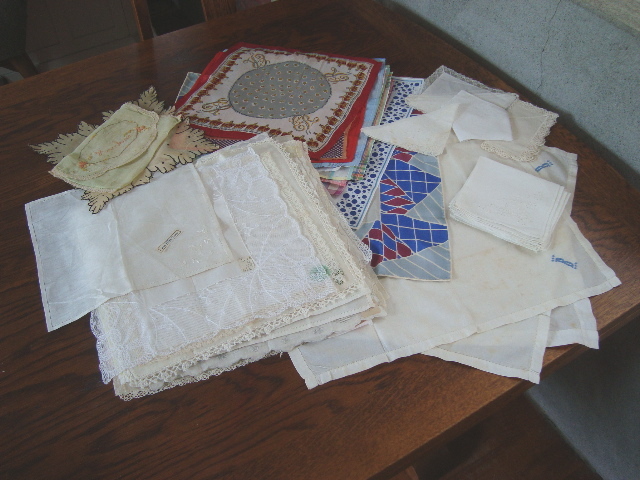 I have a collection of 70-odd hankies, which I inherited after my Nan moved into a retirement village. I’d never studied them properly until I decided to write a blog post on them. 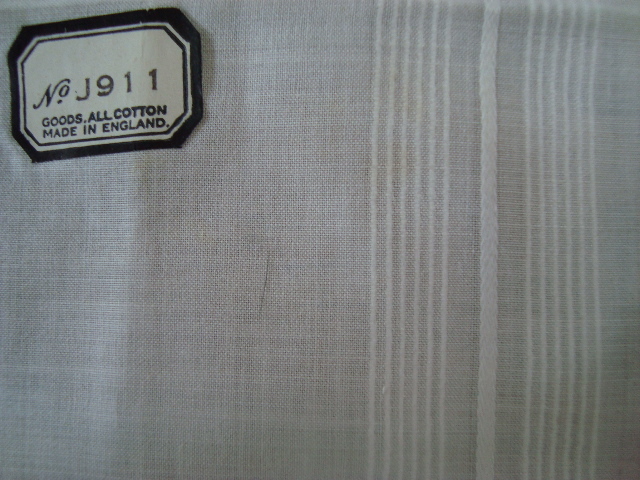 Most are linen, some are cotton. A small number are silk, chiffon or acetate. 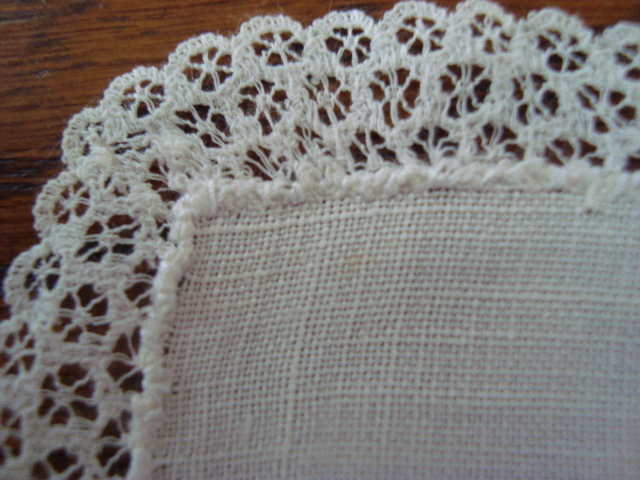 Many have simple embellishments, some are heavily decorated and others are very plain indeed. White and cream predominates. All have a light, beautiful, powdery scent which probably comes from a drawer liner. They were all folded into small squares, which presented me with a dilemma – do I unfold them? This may sound silly, but for all I knew they had been like this for decades. Some were beautifully folded. I was loath to disturb them for this reason. I decided to unfold most and keep some folded as examples (see above). 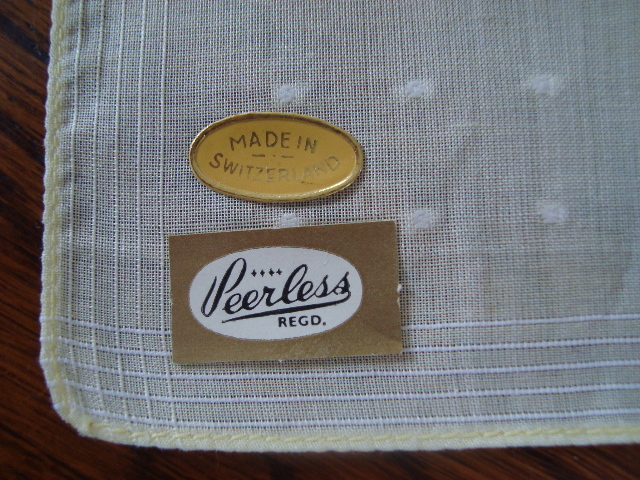 I also carefully ironed them. 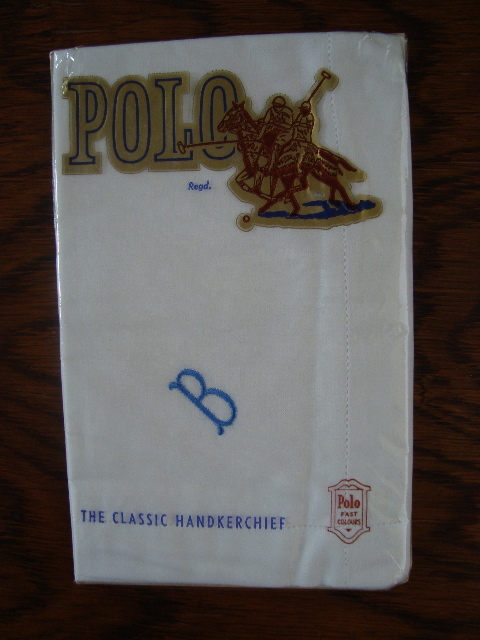 I’m glad I did, because I would never have discovered that many of these hankies probably belonged not to my nan Betty, but to her mother Florence (Flossie). Both were middle-class homemakers. 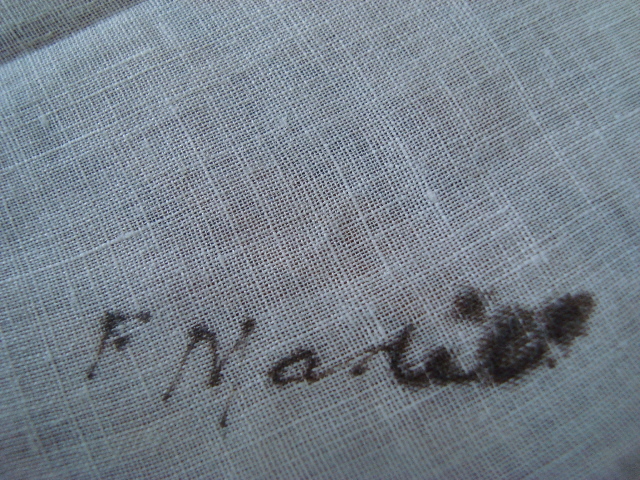 I realised this when I found her name – F Madill – written in fountain pen on a simple linen hanky. This one was obviously for every day use but nevertheless not to be lost! A couple also have the letter F appliqued on them. 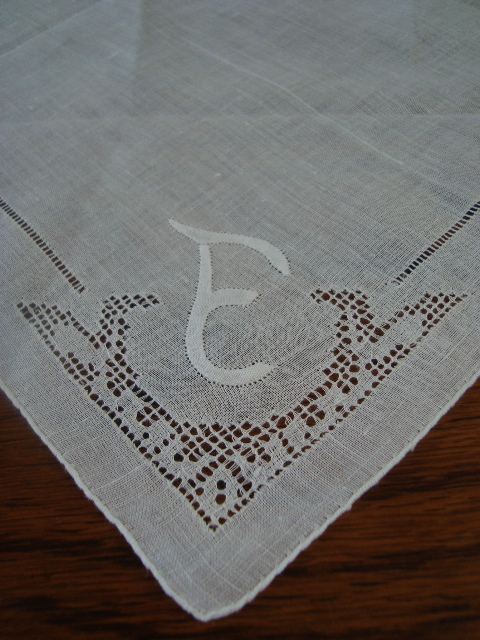 Drawn work is the most common embellishment on these hankies. 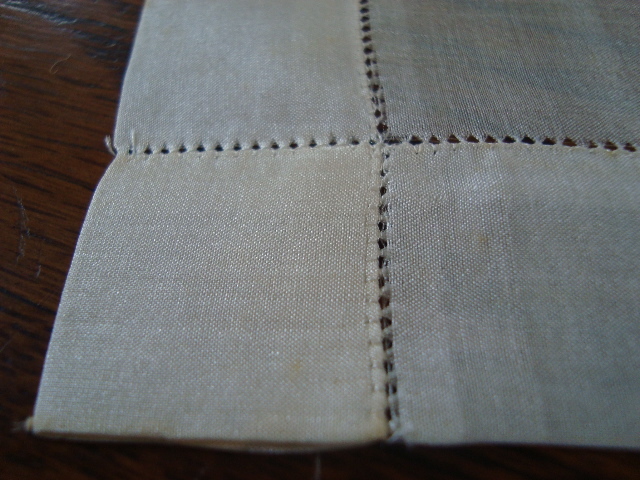 This is when small holes are made close together and tied at the ends to keep the squares open. 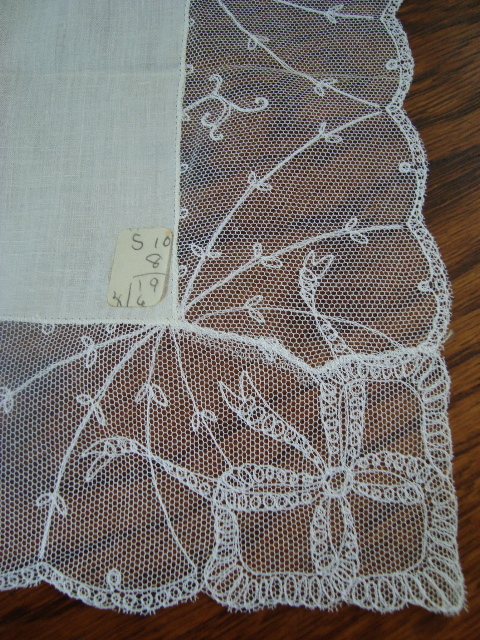 It’s very pretty, delicate work. Here are some examples. 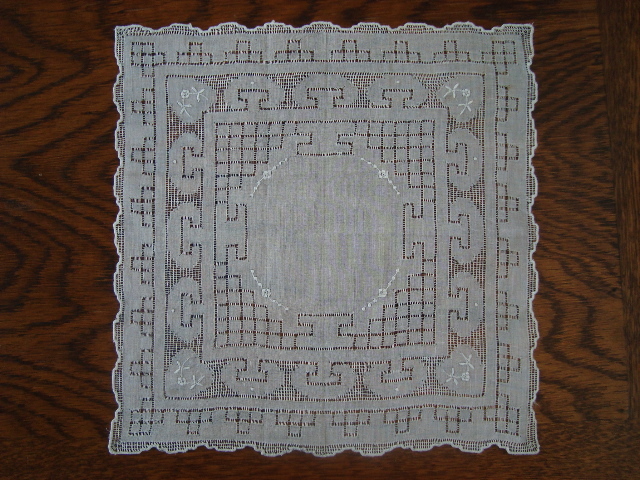 Silk hanky with a simple drawn work border - or is this pulled work? 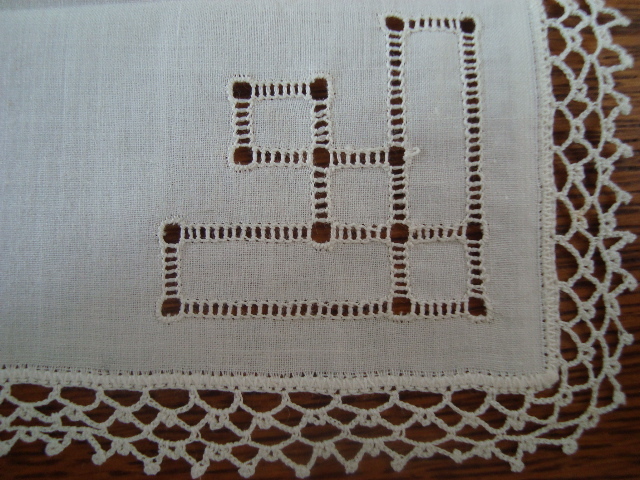 Another group are decorated with netting borders. 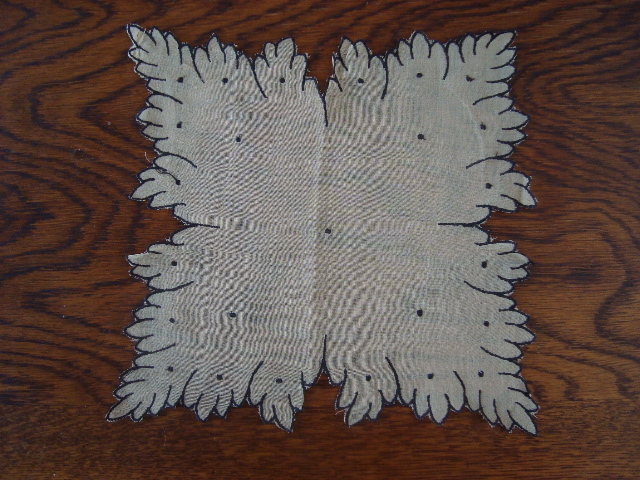 Like some of the more decorative drawn work hankies, these were for decoration or extremely light work only. 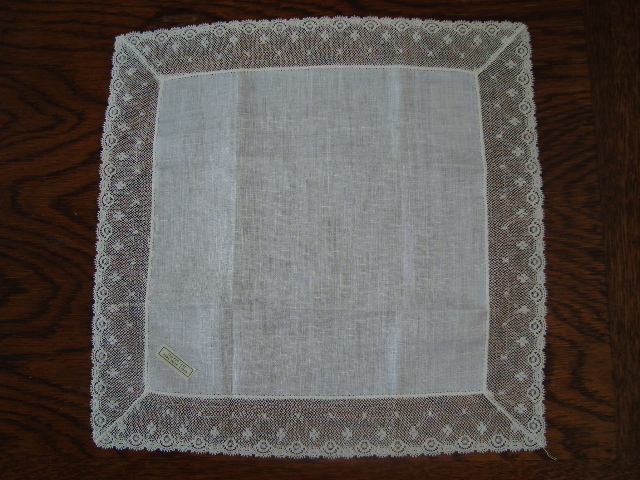 Another one not designed for a woman with a cold is this beautiful and delicate organza hanky. The camera has played havoc with it I’m afraid – the centre’s gone a bit haywire. 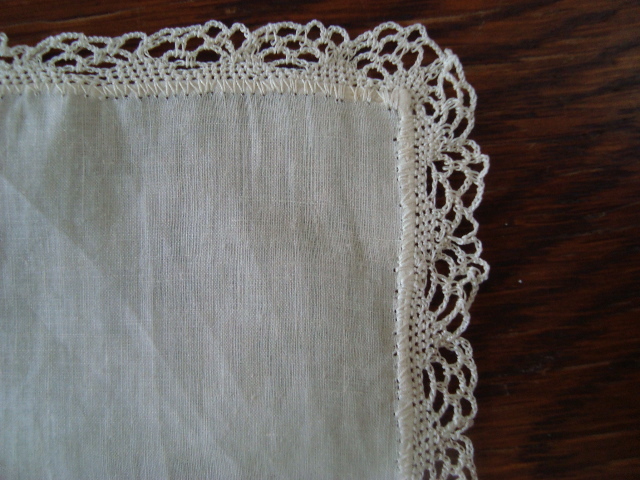 Some of the hankies are very plain, with no borders or just one line of drawn work around the edges. Most though have decorative borders, which lift them from the mundane. Lest you think my womenfolk were wholly conservative, demure ladies who never strayed beyond tasteful white or cream, here are some patterned examples. 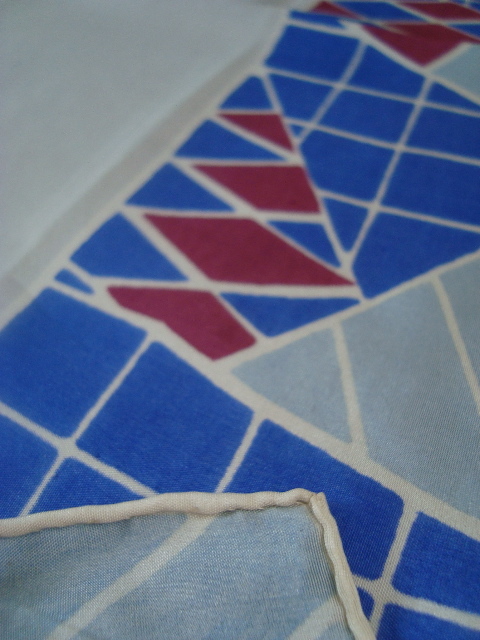 Red and blue acetate hanky. 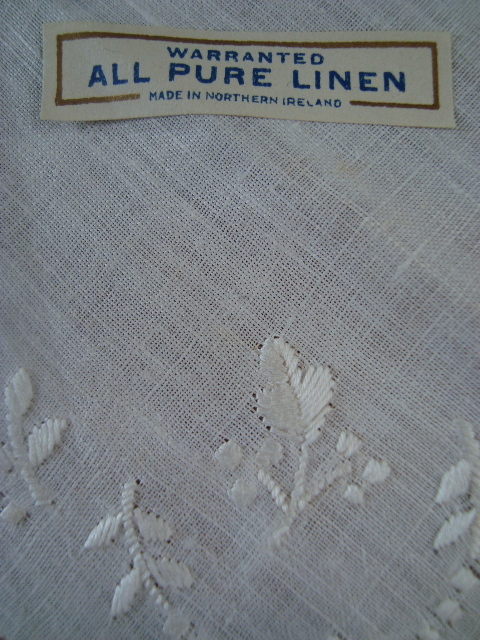 Note the hand-sewn rolled hem. 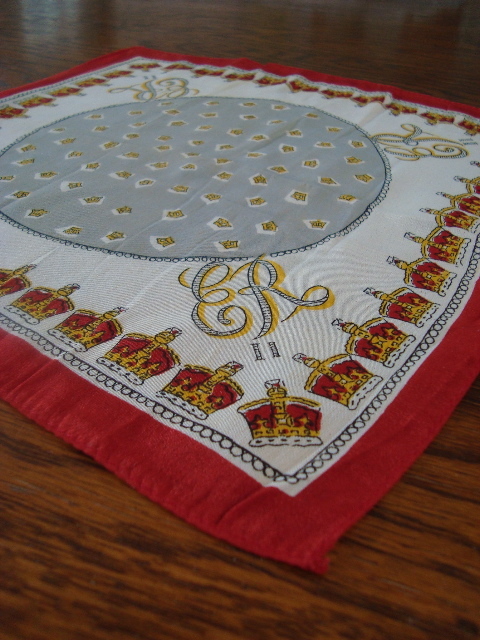 God save the Queen - souvenir hanky commemorating the coronation of Queen Elizabeth II. 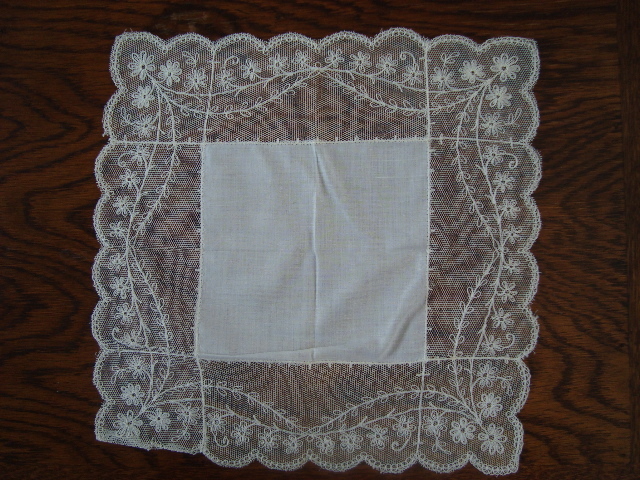 Many of the hankies are embroidered, mainly in white and cream threads. This one is a departure from this theme. Some still have labels precariously affixed to them. 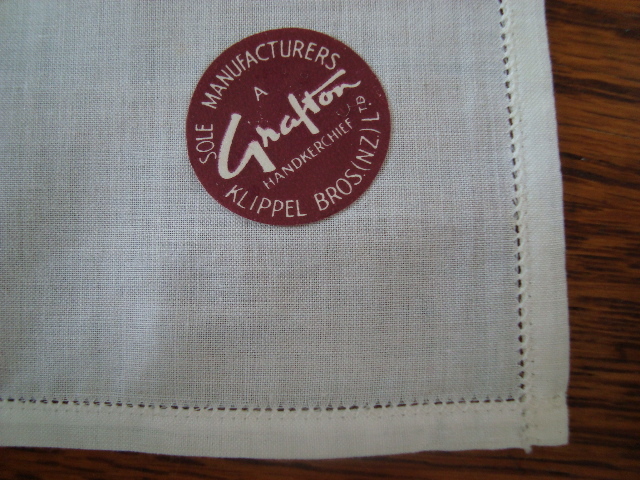 Like the items Fran wrote about in her last blog (https://gloryboxtextiles.wordpress.com/2010/10/06/a-quick-word-2/), hankies were often kept in special boxes or bags. 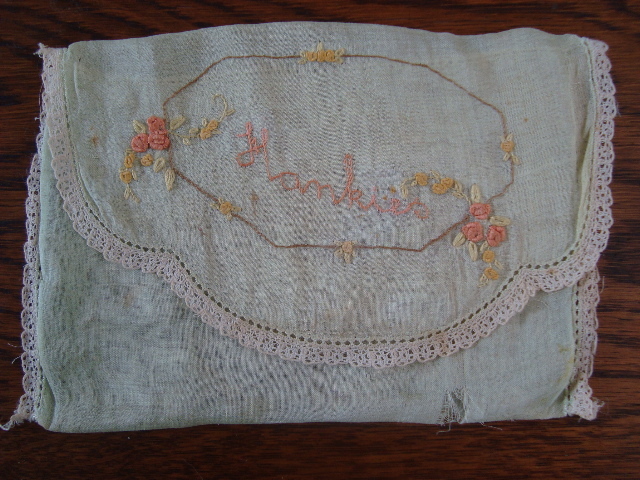 This small organza hanky bag also came to me by Nan – I think it was probably Flossie’s. My camera doesn’t like organza! 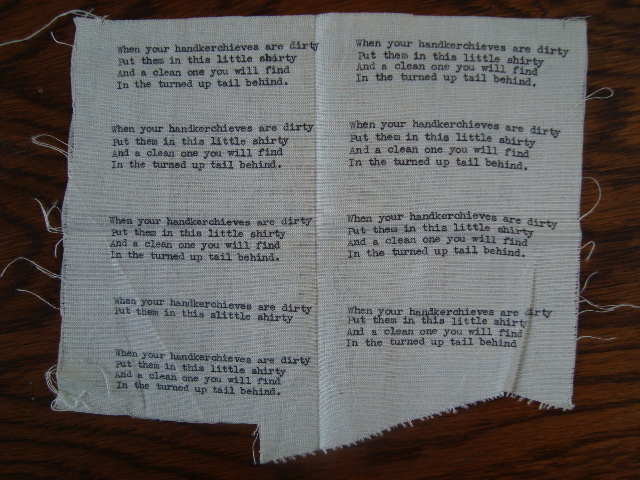 Some women kept clean and dirty hankies in bags that looked like small shirts. There’s one in Rosemary McLeod’s book Thrift to fantasy. These typed labels were intended for these – I wonder if any got made? It’s very twee. 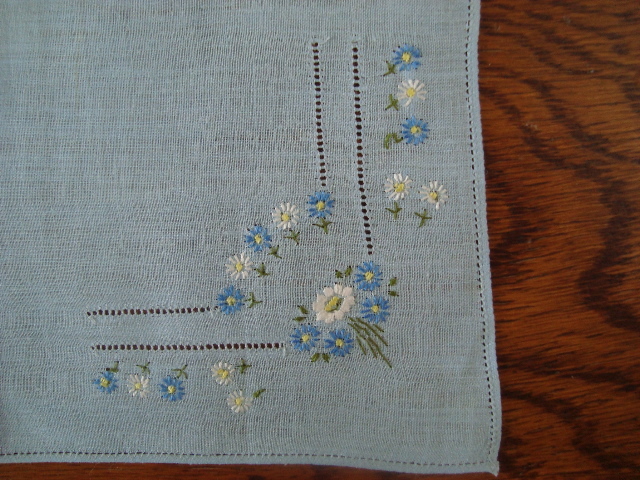 Many of these hankies were used but some were clearly not. Flossie’s English cousin Jessie Batson sent her a birthday card which reads ‘These were bought in Switzerland – just a small token to show I have not forgotten this landmark’. The landmark is Flossie’s birthday. 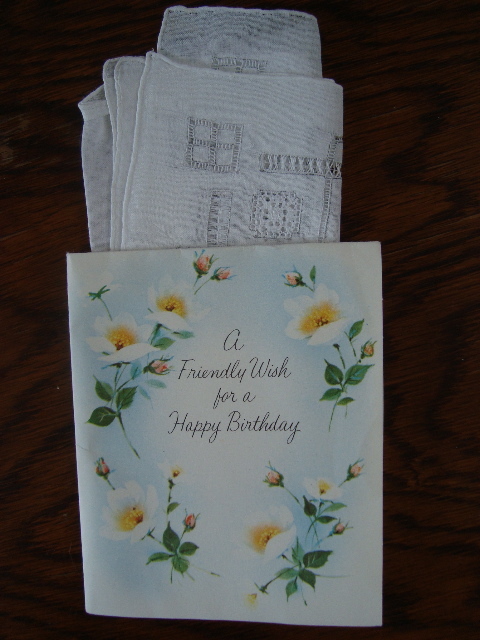 A stiff linen drawn work hanky is folded inside the card. It has a label which reads ‘hand work’ and could well be Swiss. I wonder if she used one and kept the other in the card for sentimental reasons? 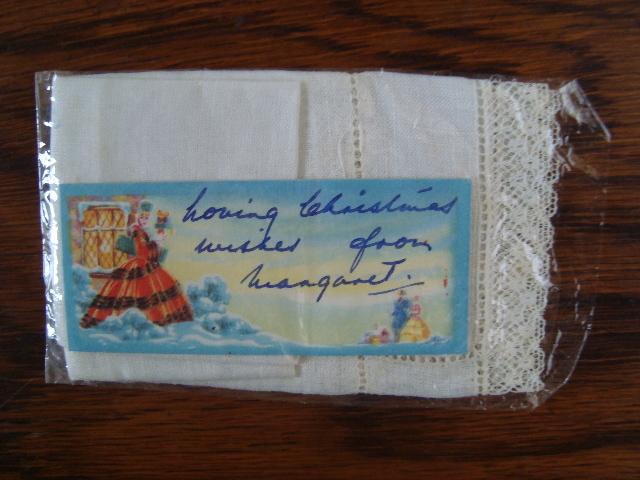 Another gifted hanky remains in its cellophane wrapper, complete with Christmas card. I don’t know who the giver Margaret was. Men are not entirely absent from this collection. There’s a few large, stained cotton hankies embroidered with the letter B – that’s my poppa Bruce. One is still in it’s wrapper, forever pristine. What shall I do with all these hankies? They sat folded in my linen drawer for a few years until now. 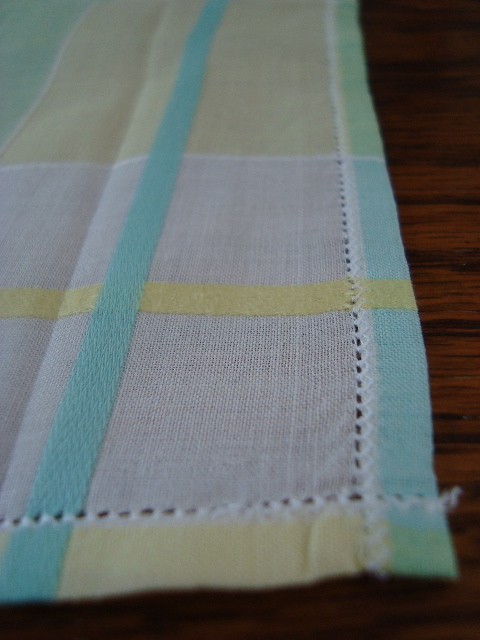 Recently I considered piecing some together to create an apron, but after looking at them properly I realised I don’t want to re-purpose them. 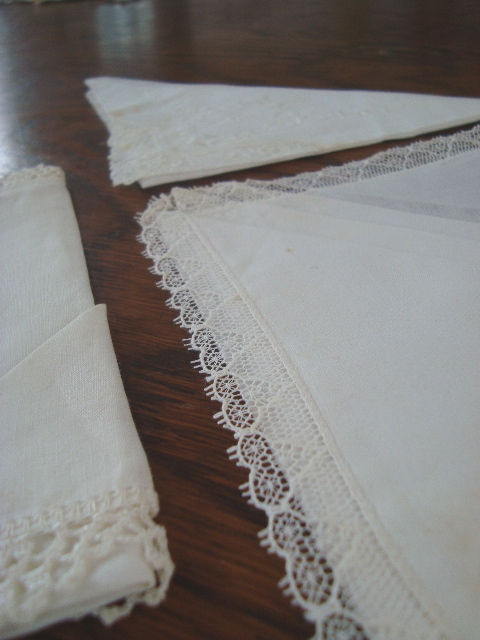 Hankies they were, hankies they will stay. I do know that I won’t be using them to wipe tears, snot or brows. I may however, tuck one in a pocket for decorative effect every now and then.